Our colleagues at the Salvation Army have released their third State of the Nation Report. A Road to Recovery, like previous reports, tracks social progress across five areas: the wellbeing of children, crime and punishment, working life and incomes, social hazards and housing. In their press release the Sallies identify that “children and young New Zealanders are bearing the brunt of the recession”. These findings are reflected in statistics such as the nearly 30,000 more children living in workless households compared to two years ago, and 45,000 fewer people aged 15 to 19 with a job than in late 2007. The report estimates 21 per cent of children – more than 231,000 – were living in benefit-dependant households at the end of 2009, a 12 per cent increase during the year. We agree with CPAG’s response to Salvation Army report “playing with shifts in tax rates and GST to leave low incomes families ‘no worse off’ is just not good enough”. The fourth Vulnerability Report (due out in the second week of March) confirms that recession is continuing to impact on families and services are as busy as ever. On February 9th John Key delivered a Statement to Parliament outlining the future direction of the government. There was a lot of talk about economic growth and a bit of ‘beneficiary bashing’ as well. Much of commentary has focussed on the proposed tax reforms. We, like other commentators, are concerned about the impact of GST increases on low income families. The government has not been bold and is using increased GST revenue to pay for tax cuts that will largely go to high income earners. While some moves will be made to make property investment less attractive, it’s looking highly unlikely that the most glaring tax hole, the lack of a capital gains tax, will be addressed. There were other aspects to the speech aside from tax that NZCCSS was interested in. It was with some apprehension we heard the PM talk about introducing legislation this year ‘to reform the benefit system’. The government is going to ‘appoint a working group of experts to recommend ways in which we can reduce long term welfare dependency. An advisory group is also going to be established to provide advice to the government on what can be done to ensure families most in need of a state house can access one. How about building some more houses – particularly in Auckland? Very sketchy reference is made to improving the effectiveness of social services and the PM’s concern with the ‘growing underclass’. We await more information on the Whanau Ora policy and will closely monitor developments in ‘welfare reform’. In John Key’s Statement to Parliament delivered on 9 February, he announced the government’s intention “to announce the details of the first stage the Whanau Ora programme in this year’s Budget”. The Whanau Ora Taskforce, set up by the government last year and headed by Dr Mason Durie, “has been canvassing ways in which the government could improve its approach to assisting families in need” said the PM. Notable was the absence of reference to solutions for Maori Whanau – the original kaupapa of the Taskforce. The policy seems to have shifted to a focus on all NZ families in need. A report from the Taskforce on Whanau Ora has been handed over to Parliament. It was intended to be public a few days after the Statement to Parliament was delivered but has been delayed by another 2 weeks. The Public Service Association is calling on the government to release the report now because “Whanau Ora raises a lot of questions”. It does indeed. Finally a Sign of Action on Housing Policy – a new Committee! • Transparent measures of how the above are being achieved. Ministers expect the Advisory Group to provide a vision for the delivery of state housing, as well as a clear action path over the next three to five years to achieve this. They don’t have much time to do their work – preliminary findings are expected by 2nd April and final report by 30th April. NZCCSS will be making its views known to the Group. Profiles of the seven committee members are on the Beehive website and the Terms of reference on the Department of Building and Housing website. 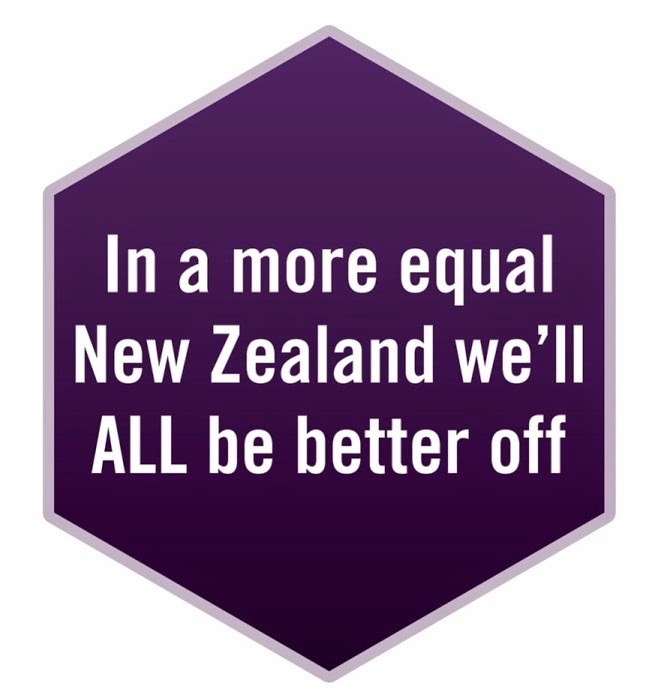 A group called It's STILL not OK delivered a report entitled Protecting Victims Rebuilding Lives Sending the Right Message to Prime Minister John Key and senior ministers suggesting practical changes to improve support help people leave abusive relationships. A Dominion Post article describes the report as ‘domestic survivors speaking out for family violence reform’. Essentially the report elaborates on the struggle women face when leaving violence relationships to re-establish themselves and families and the barriers presented by inflexible government departments. Staff at the Law Commission have spent considerable time on a report called Controlling and Regulating Drugs reviewing the Misuse of Drugs Act 1975 and making recommendations on what needs to change to make them more effective and appropriate to respond to the current drug scene. The Dominion Post outlines some of the recommendations. The report suggests that drug use should not be exclusively approached as a criminal issue but also as a health issue. It also makes recommendations about legalising cannabis for medicinal use and making rehab mandatory for heavy drug users. Unfortunately the report appears to have been dismissed out of hand with Simon Power saying the government was not prepared to get soft on drugs. The Law Commission has an online consultation website www.talklaw.co.nz for public discussion on the issues paper. Submissions close on 30 April 2010. The New Zealand Coalition to End Homelessness (NZCEH) met in Wellington recently to discuss concerns over the way people are being evicted from boarding houses at short notice. NZCEH is concerned about the impact of big events such as the upcoming Rugby World Cup on boarders who can be legally evicted if a landlord wants to charge much higher rents. While commending the Government for the increased protections for tenants contained in the Residential Tenancies Act Amendment Bill, Clare Aspinall Chair of NZCEH comments in a press release “more needs to be done to offer long term, secure, affordable housing and support to those experiencing and facing homelessness”. “The new Quality and Safety Improvement Commission will have responsibility for quality and safety across the whole health sector, including primary care and private hospitals. The Commission will set quality and safety guidelines and standards, provide education and benchmarking and publish reports on quality and safety indicators across the whole sector… It is hoped the existing qualities initiatives under QIC will become 'business as usual' ... The new Commission will be independent of the regulatory, funding and monitoring part of the Ministry - and report directly to me. It is to have at least seven members, including the chair drawn from the breadth of health care providers. We will be wanting the sector to work with the Ministry of Health to finalise the role and functions of the new Commission.” Read the government press release for further information. The cost cutting amendments and other changes contained in the 2009 ACC Amendment Bill are likely to go ahead. A Govt press release reports that the select committee report endorsed the reforms in the bill “and recommended only minor changes and clarification in response to public submission”. Clearly they didn’t take on board the advice of NZCCSS in which we rejected the cut backs and the rationale for reducing services. The Maori Party has indicated that they will not support the Bill through its second reading. We understand that ACT is still negotiating with National about the Bill. Kevin Hague from the Green’s have described the Bill as appalling, unfair and unnecessary. The CTU has pointed out that ACC’s financial crisis is looking ‘less credible’ as its investment portfolio made $212m more than forecast. Benefit bashing is back in fashion according to the Green’s Catherine Delahunty. In an excellent blog she gives five years of data from benefit fraud tracking down and yet this is not the message being put forward by our politicians. One just has to read the PM’s Statement to Parliament to realise that the Green’s are right – benefit bashing is indeed, back in fashion. The Greens have also cited research done by the Beneficiaries Advocacy Federation which shows that 4 out of 10 beneficiaries eligible for hardship assistance don’t receive it. Read more about the great welfare beneficiary rip off in their blog. The Effectiveness of Youth Court Residential Orders Report investigates Youth Court supervision orders and their efficacy in reducing the frequency and seriousness of re-offending. Apparently no one has ever done research in this area before. The research found that reoffending was common with two thirds of 14-16 year olds who have supervision orders reoffending within two years of the sentence being passed and 80% within five years. Judge Becroft, Principal Youth Court , is quoted in the Dominion Post as describing the findings as ‘a wakeup call’.